Whether it be sadness, anger, or some other feeling, there are so many influences on how we feel day-to-day. I've been thinking a lot about the things that bring joy and peace to our lives, and how we can hang onto that feeling in times of sadness and chaos. 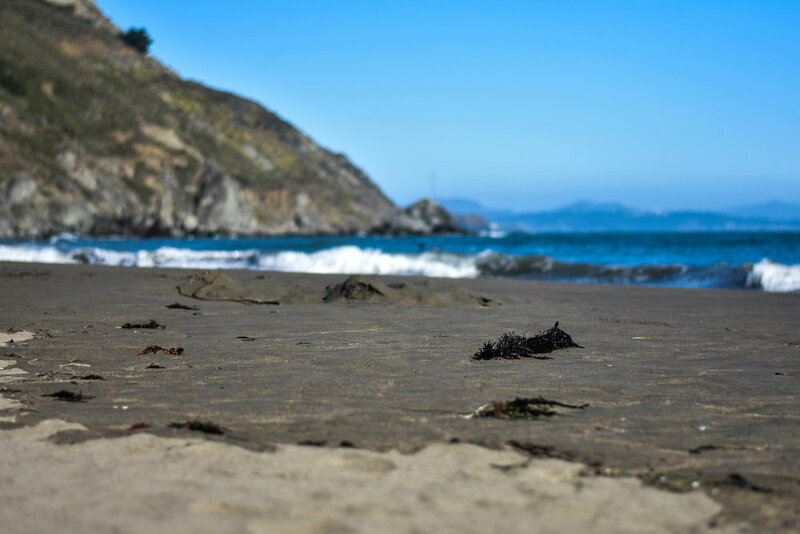 We went to Muir Beach over the weekend, which was glorious. A weird thing about me is that I hate wind...I blame growing up with horses, as windy days always make them rather temperamental. While living right by the Pacific is lovely, the beaches we have definitely are not what everyone thinks of when they think of the California coast. Between fog, freezing water, and whipping winds, a day at the beach can be downright miserable if the weather isn't right. However, we picked — no exaggeration — the perfect day to go. Sunny, slightly breezy and wonderfully warm, we couldn't have asked for better weather. I was in heaven, and Rusty was, too! It was one of those moments where life cuts you a break, and you can stop to think to yourself, "gee, this is really, really wonderful." As someone who has a hard time being ~chill in everyday life, I'm trying really hard to focus on those moments. I don't know if that will help me be calmer or more collected, but logically, I think it should. If nothing else, I'll be focusing more on life's peaceful moments, which can't be a bad thing anyhow. p.s. If you're one of those effortlessly "cool as a cucumber" type people, HOW do you do it plz teach me your ways? ?